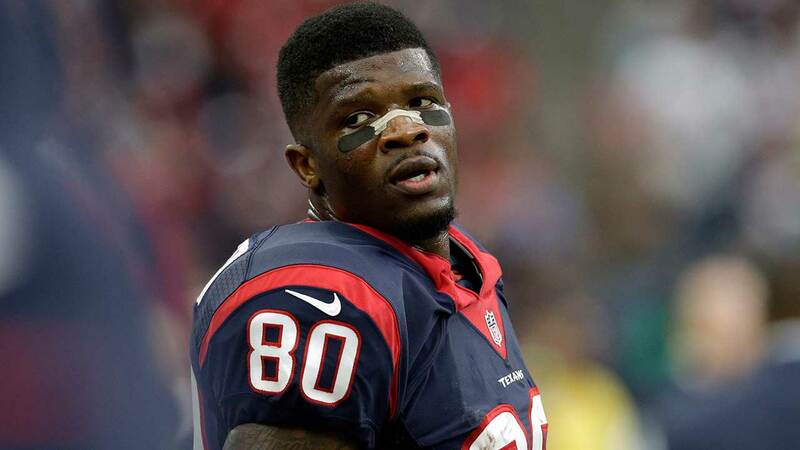 NASHVILLE, TN -- The Tennessee Titans have agreed to terms with seven-time Pro Bowl wide receiver Andre Johnson. The Titans also added offensive lineman Ronald Patrick on Friday. Terms were not disclosed. The 6-foot-3 Johnson has 1,053 catches for 14,100 yards and 68 touchdowns. He ranks eighth in NFL history with receptions and ninth in yards receiving, leading active players in those categories. The third pick overall in 2003 spent his first 12 seasons with the Titans' AFC South rival, the Houston Texans, where he is the franchise's all-time leading receiver. He played last season with Indianapolis, where he caught 41 passes for 503 yards and four touchdowns. Patrick has been on the practice squad with Dallas, Pittsburgh, Cleveland and Buffalo. The Titans waived offensive lineman Sam Carlson, putting the roster at 90 for training camp.